Students beginning their final semester should review the dates by which they are required to file for graduation. Filing for graduation involves filling out the PDF form called the Application for Degree or Certificate that can be found on this PAGE and submitting it to the Registrar. If you miss the deadline, apply as soon as possible. Please send questions to registrar@columbia.edu. All current students are expected to meet and communicate with their Faculty Adviser to stay on track for graduation. The MA Program Course Checklist is a helpful tool to review course requirements. Students should email this form or visit their adviser during the time of registration (or pre-registration) prior to the start of each semester. The MA Weekly Newsletter provides students with up-to-date information on graduation and OPT Workshops. International students who plan to graduate should learn about Post-Graduation OPT. Students who have completed their program requirements are expected to graduate. 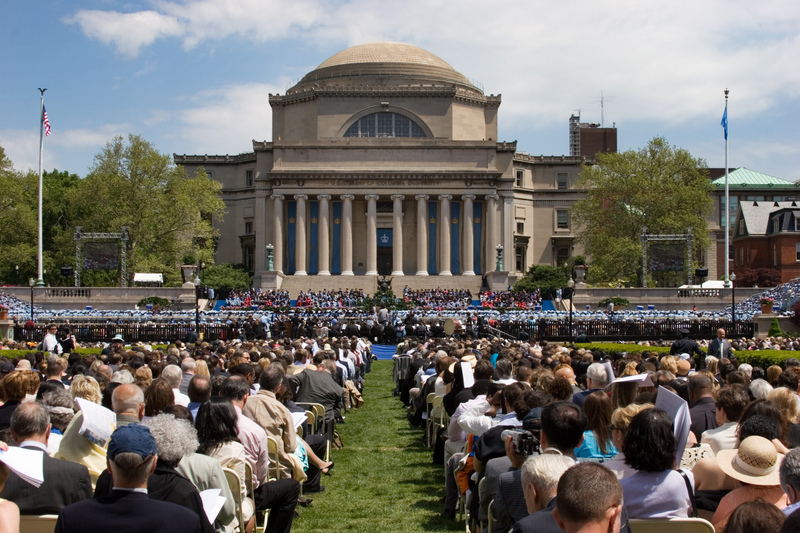 Columbia holds its formal graduation ceremonies in May for all students. MA Statistics students who graduate in the previous February or October participate in the ceremonies in May. Further information for students on participation in the ceremonies can be found HERE. International students should check with ISSO about inviting distant friends and family. Notification of graduation will be listed in SSOL: SSOL > Academic Profile > Columbia Degrees and Specializations. 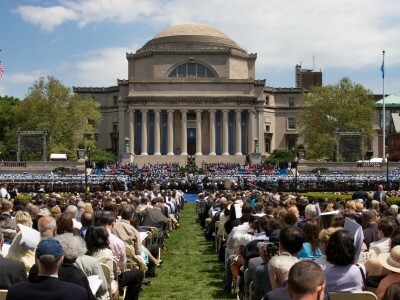 Once graduated, the “Degree Application Status” will read “There Are No Programs on File” and the newly conferred degree will appear near the bottom of the Academic Profile in the box headed “Columbia Degrees and Specializations”. It is the student’s responsibility to stay on track with graduation requirements, and to make sure the Faculty Adviser approves course selections prior to registering for each semester. Their schedules should be reviewed again if changes are made. Students who complete their studies in December will have an official graduation date as the following February. Diplomas for graduates will be mailed to the address on file in the “Diploma Address” section of the “Addresses: View and Update” page in SSOL. Diplomas are mailed within two months of the graduation date. If there is no DP address on file, the diploma cannot be sent. To pick up the diploma in 205 Kent Hall, the DP address should be: “Hold for Pickup.” An email is sent when the diplomas are ready for pick-up. Questions should be sent to diplomas@columbia.edu. The Office of the University Registrar now provides an Electronic Diploma to graduates. Questions should be sent to the Student Service Center: ssc@columbia.edu. Information on how to invite family and friends for Graduation is HERE. If official proof of student enrollment is required by an employer or another entity, please visit the Office of the University Registrar in 204 Kent. For academic certification, an official document provided by the University Registrar verifying your dates of attendance, award of degree, and/or student status (full-time or part-time) by semester please visit Office of the University Registrar: Certifications. Current matriculated students can request enrollment certification via SSOL.